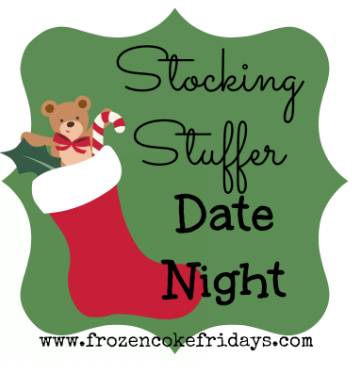 For the past 7 years or so Jay and I have carried out one of our favorite holiday traditions: the stocking stuffer date night. It’s seriously a riot, and we’ve always had a great time doing it. We usually head out to dinner and the stop to grab some Starbucks before getting to the real fun: shopping for each other’s stocking stuffers in Target… at the same time. Aside from sticking to our pre-set stocking budget (yes, we have one of those), the only rule was that we couldn’t be in the same area at the same time – in other words, we had to avoid each other as much as possible. What a great concept for a date, right? We had a ton of fun, and once we’d hit the top of our limit we headed to the register, using our phones to update each other where we were. 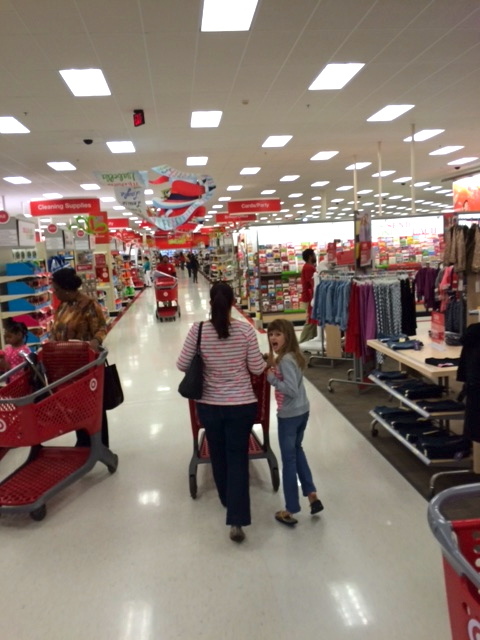 Target uses red bags during the holidays that you can’t see through, so walking out together wasn’t a problem. 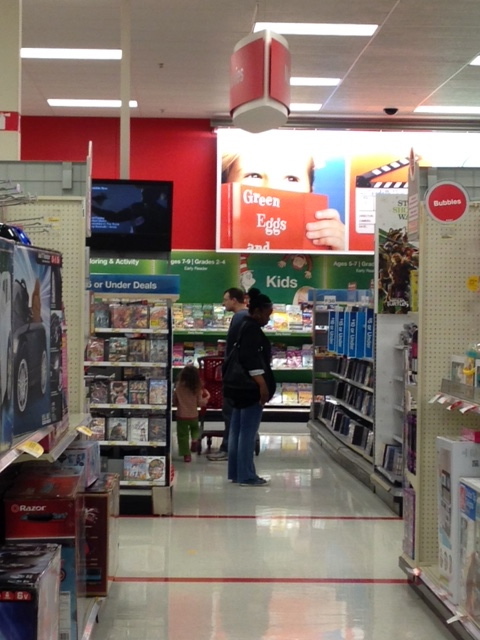 It seems like it would be pretty easy to avoid each other in a store as large as Target, but it’s a lot harder than you’d think! Especially when you think alike – fun toiletries (body wash, lip balm), snacks, and goofy toys are things we always enjoy giving each other, so no matter how hard we try we always seem to find each other in those departments. You may have noticed that Emily and Julia tagged along this year. Jay and I talked about it, and we agreed that it might be fun for the girls to help us come up with stocking stuffers for Mommy and Daddy. Plus, it gave them an opportunity to choose a gift for each other to put under the tree. So we let the girls choose who they wanted to shop with and we parted ways. Julia had what Jay calls “Shiny Objects Syndrome,” meaning she was drawn to just about anything. Emily had a total blast, choosing something to put in Jay’s stocking just from her and nixing items she didn’t think he’d love.